This tutorial describes how to control sphero using Temperature sensor. One of the most interesting topic around Android it is how we can connect our smartphones to other devices or smart devices to get information from them or to control them. In this post I want to introduce a new way to use our Android phone and explain how we can use it to control Sphero ball. 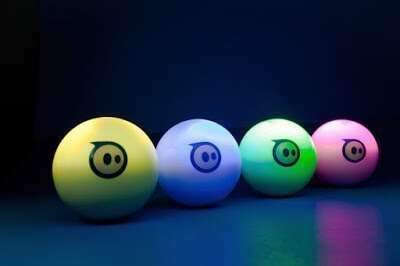 If you don’t know this incredible ball give a look Sphero site. Below an image of the Sphero taken from the Sphero press kit site. 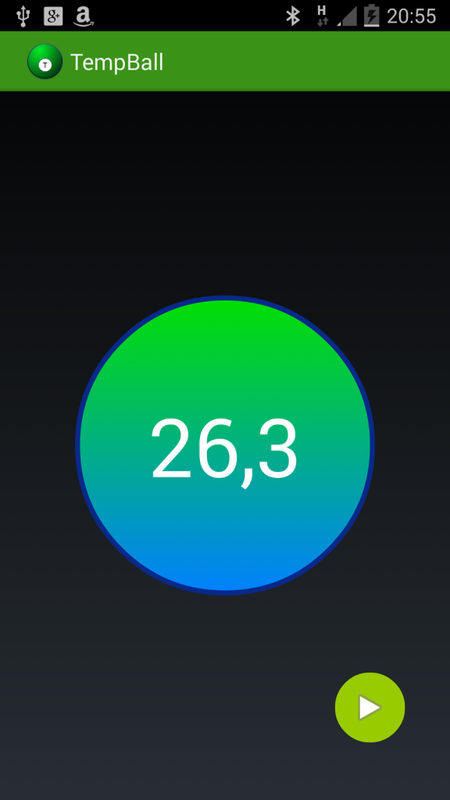 In this Android project, I want to describe how we can integrate the temperature sensor inside the smart phone to control the Sphero ball color. In other words, I want to change the color ball according to the temperature measured by the smart phone even if the smart phones is in the stand by mode or the Activity is not in the foreground. Looking at the pic below, we can notice that the UI Activity starts two services and listens for events coming from these services, in more details the Activity set up an alarm that is used to start the Temperature Sensor Service so that we won’t drain the battery. The alarm can be configured to start every fixed amount of time. Every time the Temperature Sensor starts it measure the environment temperature using the smartphone sensor and broad cast the value. 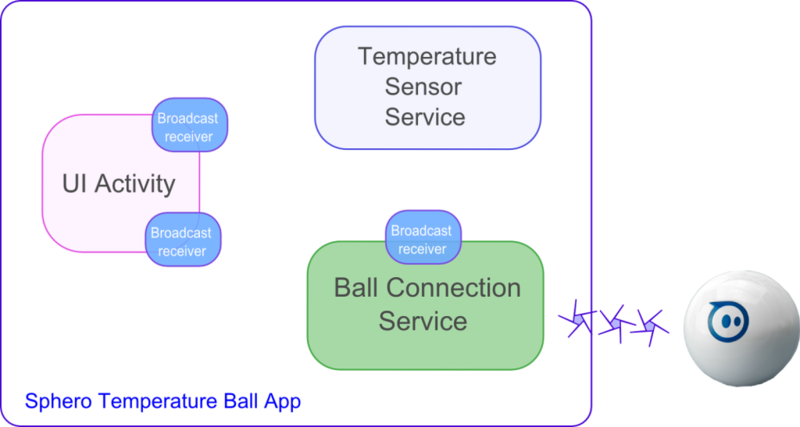 The UI Activity listens these events and shows the value to the UI, at the same time the Ball Connection Service listens for the same event and as soon as it gets the event, this service calculates the color components (R,G,B) and set the ball color. (to know more about it give a look at Android service tutorial). At line 15, we stop the service because we don’t want to read all the times the values to not drain the battery. now in the onStartCommand we start connecting to the Sphero and at the same time we start listening for incoming temperature event (line 8). The code seems complex but it is really simple if you look at it carefully. We start broadcasting the event that we are trying to connect to the Sphero (line 3), then, using Sphere API, we register a listener to know when the connection is established and broadcast a new event that the connection is active, at the end of this method we start discovering if new Sphero in around and ready to connect.